Pallavi Shrivastava is an inclusive business specialist with the World Bank Group, where she manages the joint International Finance Corporation-World Bank South Asia Inclusive Business Program. She has a decade of managerial and operational leadership experience in the corporate and development sectors. She has been focusing on surfacing, funding, scale-up and replication of innovative development solutions in India and, more broadly, in South Asia and Africa. 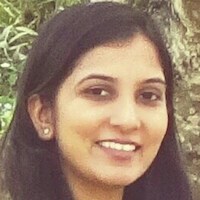 Pallavi holds engineering and master’s in business administration degrees from XLRI, Jamshedpur. A growing number of enterprises have developed innovative business models and technologies to tackle some of the toughest challenges in health care delivery. They are devising new and innovative products, services and business models to deliver affordable, quality health care at the last mile.